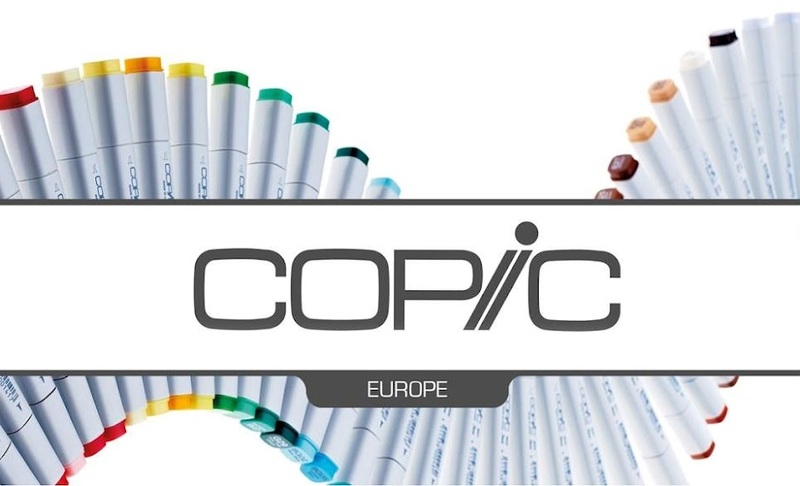 Welcome back to Copic Marker Europe. 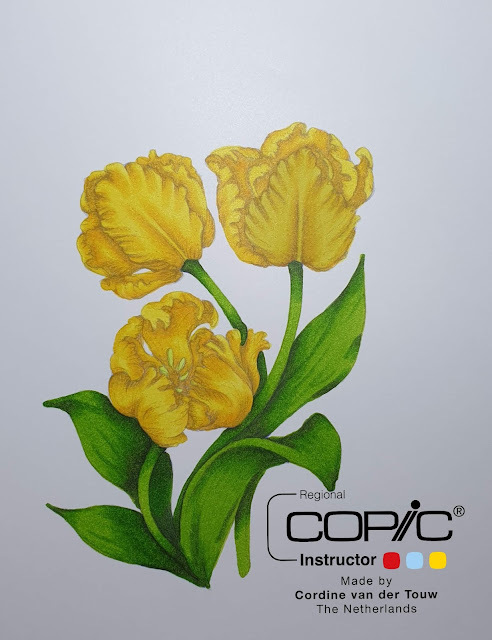 I printed my Tulip in a grey tone, this gives you have a No Lines Effect. 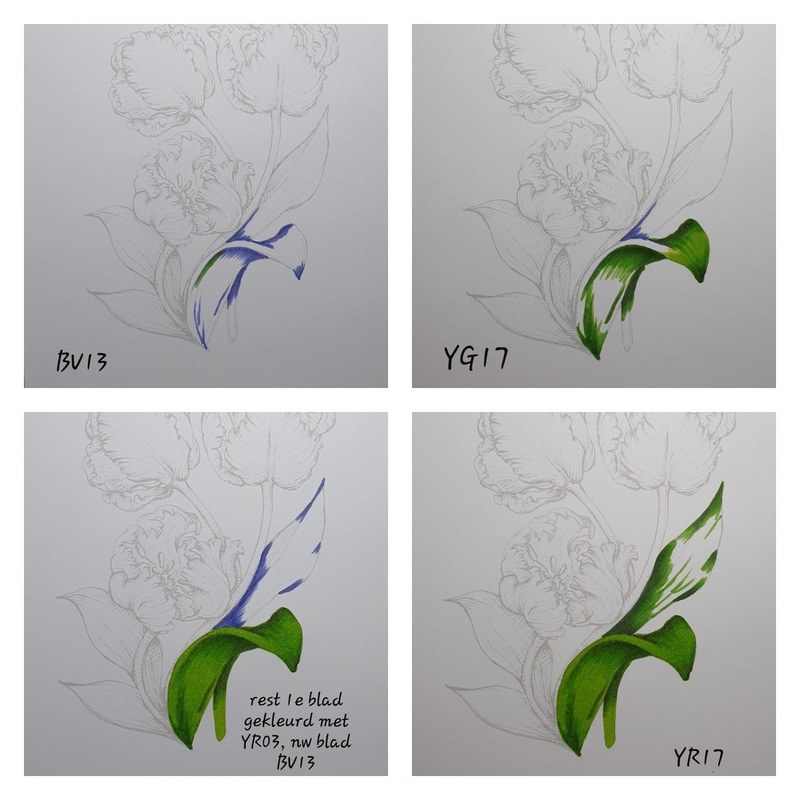 I started with the BV13 for shadow, my next colour is YG17. I went over the BV13 with my YG17 and a little bit further, so they can blend together. 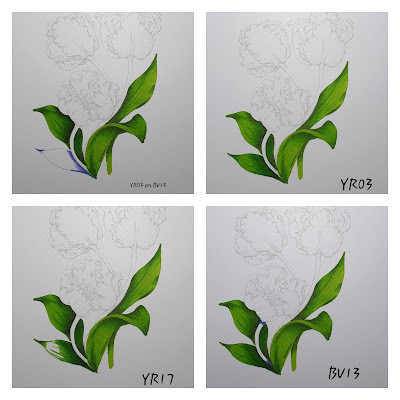 My next colour is YR03, so the whole leaf is coloured. I used these 3 colours for all the leaves. For the flower I use first BV000 for my shadow. so the colours can blend. 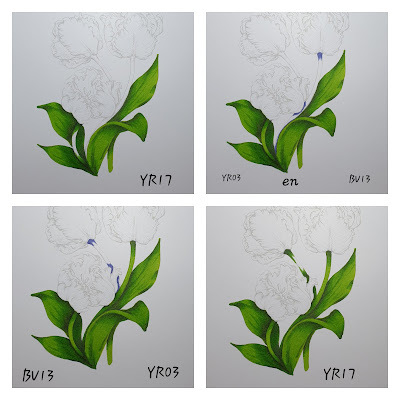 The next colour for the flower is Y15, it also goes over BV000 and Y35, so they can blend. 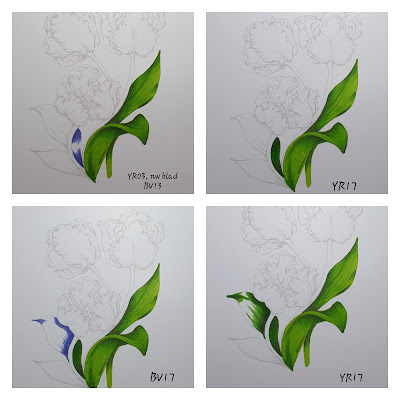 And the last colour for my flower is Y13. 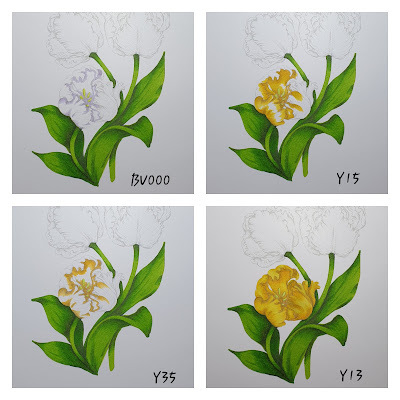 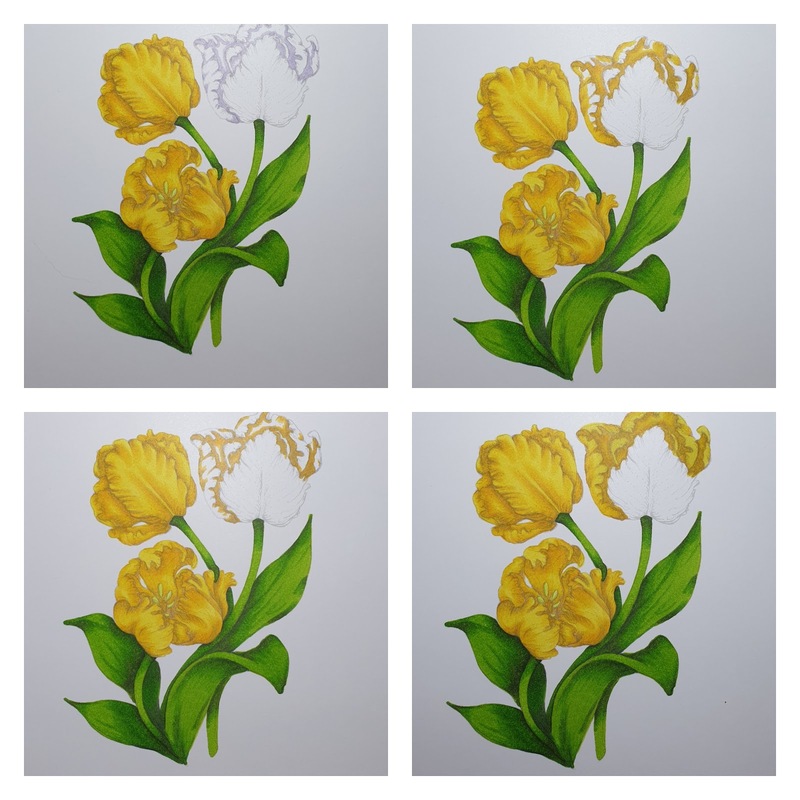 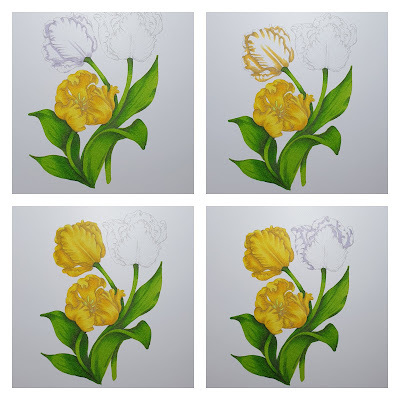 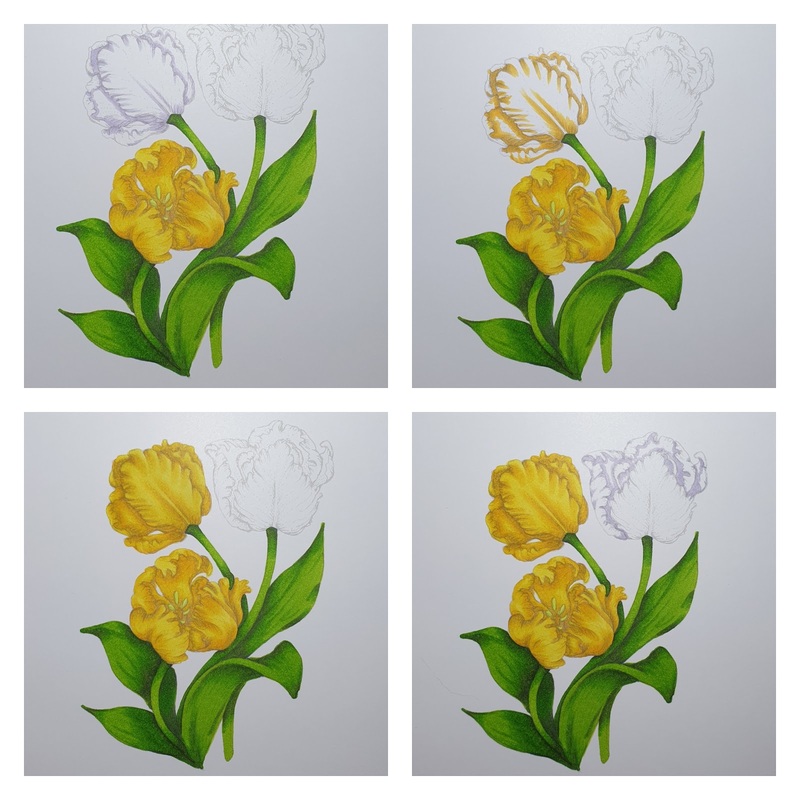 I used these 4 colours to colour all the flowers. 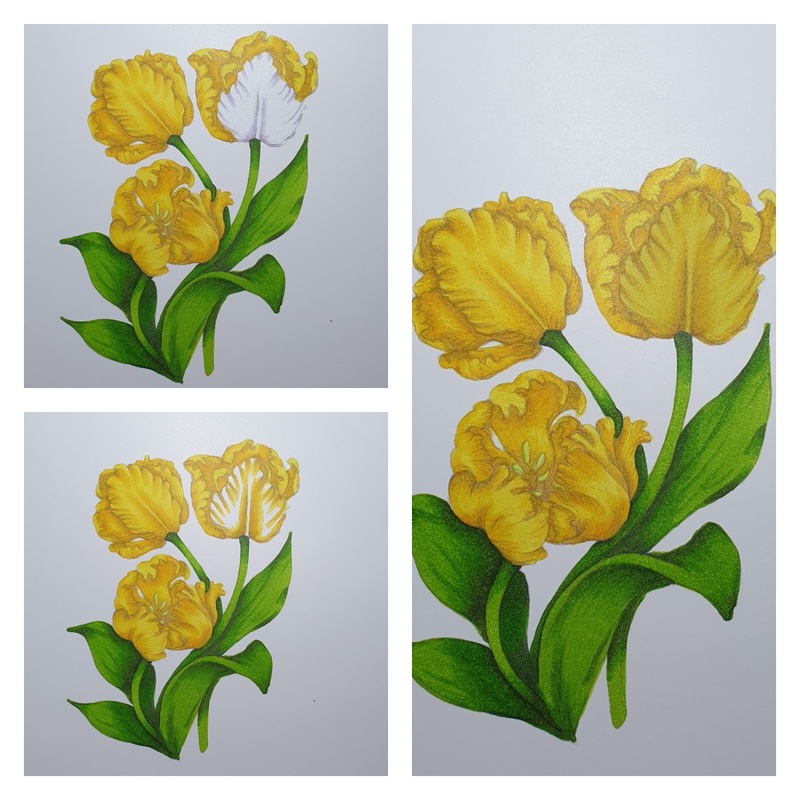 And this is the end result of my tulip. 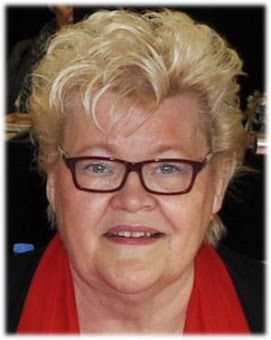 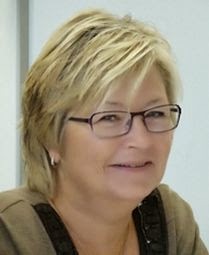 Waanzinnig mooi Cordine, ik ga hem ook een keer proberen!